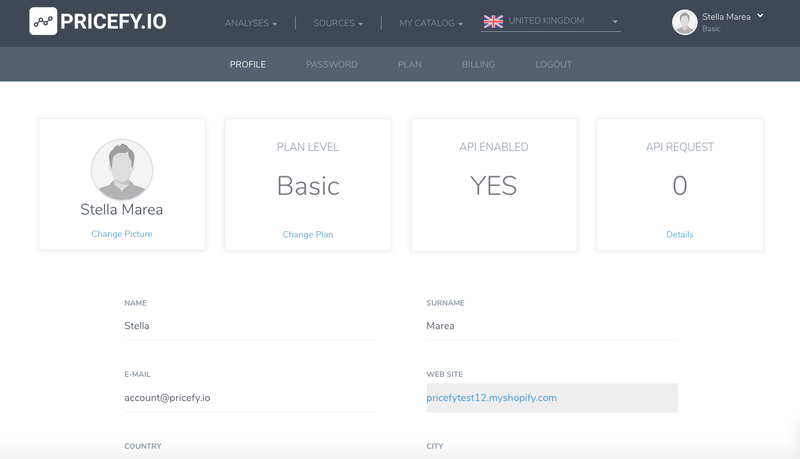 API key is used to communicate via API with PRICEFY, without that, every API request will answer with an error. 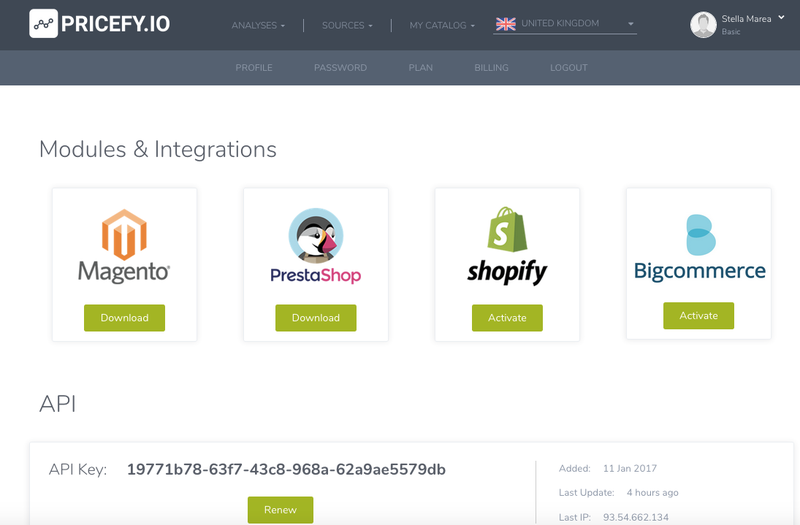 To generate an API key login into your account and click on your profile's name (top right corner) or click here. To renew or generare your API key just click on button "Renew" in the API section.